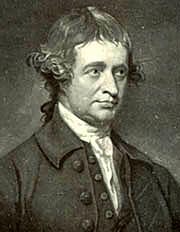 Edmund Burke (born January 12, 1729 in Dublin, died July 9, 1797) was an Anglo-Irish statesman, an orator, and a leading conservative political theorist who is still widely read and continue to shape conservative attitudes. He first coined the phrase "salutary neglect" to describe how Britain should be dealing with the American colonies, a policy that the King famously abandoned in a way that led to the American Revolution. Burke rallied Britain against the radicalism of the French Revolution. In the process he became one of the first to develop a coherent conservative political philosophy; his ideas continue to influence conservatives. Burke argued that a nation's institutions, customs and values were the long-term product of its experiences over the centuries, as small adjustments were made to fit changing needs and the cumulative effect was the current society. Writing before the Industrial Revolution had shown much impact, he thought change was always incremental and slow. Indeed, he argued that current observers were unlikely to fully appreciate the hidden gems of wisdom of the "ancient constitution"; efforts to impose radical changes based on visions rather than experience, such as the French Revolution, were therefore doomed to failure. Keenly concerned with the fairness of the British Empire, Burke opposed royal efforts to suppress the American Revolution; he called for more liberties for the people of India and his native Ireland. He was born in Dublin, Ireland, the son of a Protestant lawyer and a Catholic mother. He was educated in classics at a Quaker boarding school and at Trinity College Dublin, he remained a committed Anglican the rest of his life. He considered a national established church a requirement for sound government. In 1750 he went to London to study law but soon left his course. In 1756 he published his first book anonymously A Vindication of Natural Society, a satirical account of the rise of civilization and how it produces unhappiness and distress; it attacked the political rationalism and religious skepticism of Henry St. John, Viscount Bolingbroke. In 1757 he anonymously published the Origin of Our Ideas on the Sublime and Beautiful, his most philosophical work; it is a founding manifesto of Romanticism, which came to dominate European thought and sensibility after 1800. He founded the The Annual Register, a record of contemporary political events. He was a member of the intellectual circle around Samuel Johnson. After serving as private secretary to several senior parliamentarians, Burke was given a seat in Parliament in 1765 and remained in Parliament for over thirty years. His success as an orator, political writer and party member for the Whigs was extensive although he was never given a particularly high office by his party when it took government, possibly because of his independent streak. He fought for restrictions on the powers of the East India Company in its administration of India; in particular he used stunningly brilliant speeches to lead the greatest impeachment trial in the history of the British Empire, that of the first governor-general of India for the East India Company, Warren Hastings 1732–1818. He was alleged to have committed "high crimes and misdemeanours" during his governorship of India, 1772–1785. Hastings was charges with financial corruption, use of political power for extorting bribes from native rulers of India, abuse of judicial authority, despotism, and arbitrary rule; he was being tried specifically for illegally occupying territory in India by launching aggressive offensive and criminal wars against native rulers, treaty violations, and for open violence against native rulers and the people of India. Burke charged that the corrupt state of Indian government could be remedied only if it were taken from both the crown and the company. He proposed that India be governed by a board of independent commissioners in London. Hastings was acquitted in 1795 after an 8-year trial, thanks to defense spokesmen opposing Burke who articulated a vision of empire based on ideas of power, conquest, and subjugation of the colonized in pursuit of the exclusive national interests of the colonizer. Burke had a different vision, calling for a deterritorialized supranational juridical sovereignty based on a recognition of the a priori rights of the colonized. These two opposing discourses and visions, as they came to be articulated in the trial, had decisive implications for both the nature and evolution of the British empire and its imperial institutions and of Indian legal and political discourse and institutions in the 19th and 20th centuries. In the early 20th centuries, a series of imperial historians like Fitzjames Stephen, John Strachey, Sophia Weitzman, Lucy S. Sutherland, and Keith Feiling dismissed Burke's accusations that Hastings had been personally corrupt and argued that his arbitrariness was justified by the necessities of maintaining empire in the east, a view that Hastings himself articulated in the trial. Burke supported military intervention against the French Revolution and for tighter controls of civil Liberties in Britain, so as to prevent such an occurrence happening there. Rejecting Jean Jacques Rousseau (1712–78) and the philosophies, Burke said the popular will does not really exist, but that the ancient constitution did, and it should be upheld. His great book Reflections On the Revolution in France (1790) was ignored at the time but in the long run helped reduce revolutionary sentiments among British thinkers, and had a significant impact on Italian and French conservatives. The book, for example, has ten pages on the monasteries of France that deplores not only the confiscation of their property but also the destruction of the institutions themselves, which are defended for their contribution to learning, beauty, and agriculture and for their general social role. Their "superstition" is vindicated as preferable to that of the radical philosophies. Burke maintains that they could and should have been reformed rather than suppressed. By contrast with the French fiasco, he praised the Glorious Revolution of 1688 in Britain, saying, "The Revolution was made to preserve our ancient indisputable laws and liberties, and that ancient constitution of government which is our only security for law and liberty." The English were not creating a new regime, merely restoring the old one that had been distorted by the Catholic James II. Burke in particular saw the established church (the Church of England) and the aristocracy, whose power was based on landed property, as the true carriers of tradition. Burke's Christian faith, broad, undogmatic and ecumenical, was a basic element in his beliefs and prevented any sympathy, acceptance or compromise with the anti-religious aims of the French Revolution. For Burke, the great struggle was that between religion and atheism, and he sought to develop a union of all Christian religious sects, denominations, and traditions to combat those who opposed Christianity. For years he supported the rights of Protestant dissenters and Roman Catholics in England. He believed that religion, established churches, and confessional states added important dimensions of depth and wisdom to society. Both a British and an Irish patriot, Burke believed that only the British Parliament could implement Irish reforms and sought a union between the two countries based on mutual respect. Most of Burke's causes were effectively lost, but Burke's ceaseless politics of principle made them burning issues and subsequently made him famous. He died disappointed three years after his retirement and the death of his son, which caused him much grief. The "New Conservative" interpretation of Burke's philosophy with its concentration upon the Natural Law has dominated Burke studies since the 1940s, especially in America, where it continues to influence conservative thinking. It began with Leo Strauss, Natural Right and History (1953), and Russell Kirk, The Conservative Mind from Burke to Santayana (1953). This American interpretation has not been widely accepted in England. "A Philosophical Inquiry into the Origin of Our Ideas of the Sublime and Beautiful", (defending the American colonies and examining how people interpret what they see). "Reflections on the Revolution in France", (warning that the French Revolution was evil because a few would gain control and abuse their power). "All that is necessary for the triumph of evil is for good men to do nothing." "A state without the means of change is without the means of its conservation." "The true danger is when liberty is nibbled away, for expedience, and by parts." "The people never give up their liberties but under some delusion." "Nothing turns out to be so oppressive and unjust as a feeble government." "It is a general popular error to suppose the loudest complainers for the public to be the most anxious for its welfare." "That the greatest security of the people, against the encroachments and usurpations of their superiors, is to keep the Spirit of Liberty constantly awake, is an undeniable truth." "What is liberty without wisdom and without virtue? and good in preference to the flattery of knaves. more there must be without. intemperate minds cannot be free. Their passions forge their fetters." Gibbons, Luke. Edmund Burke and Ireland: Aesthetics, Politics, and the Colonial Sublime. (2003). 304 pp. Lucas, Paul. "On Edmund Burke's Doctrine of Prescription; Or, An Appeal from the New to the Old Lawyers," Historical Journal, 11 (1968) opens the way towards an effective synthesis of Burke's ideas of History, Change and Prescription. Raeder, Linda C. "Edmund Burke: Old Whig." Political Science Reviewer 2006 35: 115-131. Issn: 0091-3715 Fulltext: Ebsco, argues Burke's ideas closely resemble those of conservative philosopher Friedrich August von Hayek (1899-1992). ↑ Lucy S. Sutherland, The East India Company in Eighteenth-Century Politics (Oxford: Clarendon Press, 1952); Keith Grahame Feiling, Warren Hastings (New York: St. Martin's Press, 1954). This page was last modified on 22 March 2019, at 19:57. This page has been accessed 55,435 times.